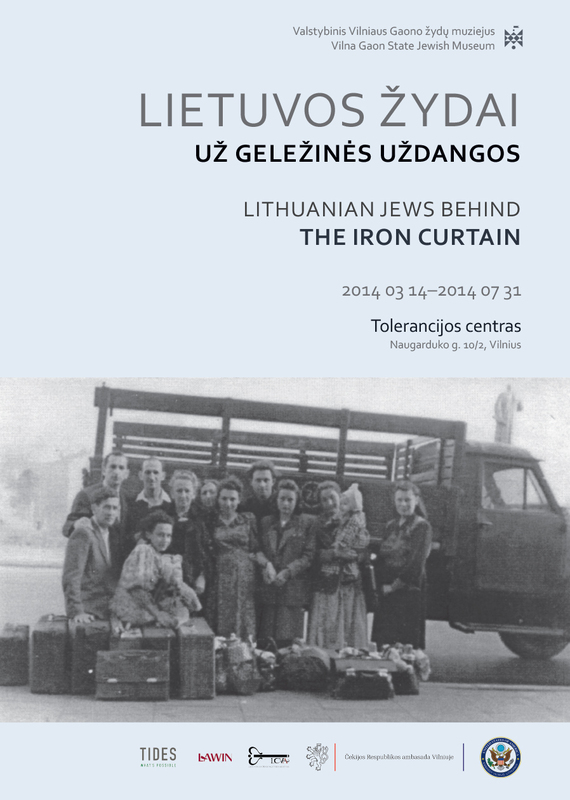 Exhibition "Lithuanian Jews behind the Iron Curtain"
The exhibition reveals the individual struggle to presevere against the supression of freedom, identity and historical memory. This is the first exhibition to tackle this historical blank space in the contemporary history, aimed at fighting ingrained stereotypes, revealing the reality of Jewish life and providing a fuller picture of Jewish cultural and ethnic expression during the period of Soviet regime. Exhibition was presented at the Museum in 2014. It was favorably accepted in the reviews of famous Lithuanian and foreign historians. Mobile easy to stand-up panels, made according to contemporary design requirements, make the exhibition acceptable for many spaces in various spaces of cultural and educational purpose, schools; they’re easy to set during the educational seminars or the other events, seeking to attract the attention of the society the problems of Modern Era. Exhibition presents the unique sources, facts and documents, found in Museum collections and State archives as well as reminiscence of those, who have lived through the real historic events, still poorly talked off in the society. about the situation of the Jews during the First Soviet occupation: the nationalization of the property, restrictions on culture, political persecutions, deportations. about the efforts of the under-populated community – despite the restrictions – to renew the traditional life (religion, culture, education) after the Holocaust in the post war years. about the efforts to cherish the identity in the family field, the amateur artistic activities, the first efforts to find the place for the Jewish remembrance and tragedy in the professional literature, of course only in the permissible frames. About the fight for human rights and the waves of repatriation to Israel. About the breakthroughs of the identity of Lithuanian Jews during the years of Movement. We’re ready to present this transportable exhibition, accompanied by the professional lecture by Museum’s historians and arranged discussions, upon your request. Texts and information in Lithuanian and English language. 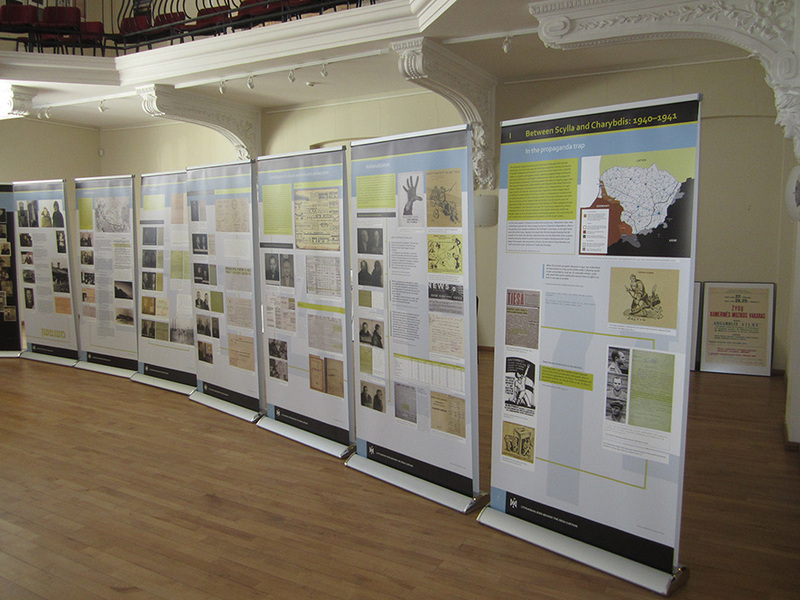 Panels were designed to be easily transported and exhibited in Lithuanian schools, local or foreign museums, cultural institutions. 3–4 panels – Limitations of cultural activities and persecution.